With 32 different manufacturers now offering hyperconverged infrastructure (HCI) solutions, customers are increasingly asking channel partners to help them choose between HCI vs. conventional 3-tier infrastructure (centralized storage + storage fabric + servers). Skillfully guiding customers through the financial modeling process can help them better evaluate the differences between the legacy and next-generation technologies. Henry Ford famously said that if he had asked his customers what they wanted, they would have told him, “faster horses.” As organizations increasingly virtualized their datacenters, they encountered problems such as manufacturer finger pointing when troubleshooting, and ordering and standing up the compute, storage and networking components in a reasonable time frame. In response to these issues, every leading storage manufacturer came out with what they called a “converged infrastructure” solution including HP Matrix, Vblock, Flexpod, IBM PureFlex, Hitachi Unified Compute Platform, EMC VSPEX and so on. But these solutions lack any true innovation and, for that matter, any infrastructure convergence. They are simply faster horses. I wrote an article a few months ago titled, The 10 ways Nutanix is Uberizing the datacenter. Suppose we were able to go back in time 30 years and approach a would-be taxi passenger standing in the rain fruitlessly trying to hail a cab. We could tell her that in the future a company called Uber would use new technologies such as the Internet and smart phones and GPS to transform her transportation experience. Future rides would be simple, predictable and pleasant. Lacking the context to understand these new technologies would likely result in skepticism that Uber could do this. Nutanix partners often encounter this same type of challenge with people in IT, Purchasing and Finance who are used to looking at the datacenter through a 3-tier lens. Their first impulse is naturally to evaluate hyperconverged solutions in the same manner that they have long used for analyzing their conventional infrastructure purchases. But metrics such as cost per gigabyte and even acquisition cost are often irrelevant or misleading when evaluating hyperconvergence. A Total Cost of Ownership (TCO) or Return on Investment (ROI) analysis, depending upon the use case, provides a far better framework for evaluating a major technology decision. Counter-intuitively, while a TCO or ROI analysis will inevitably show a lower cost for HCI than 3-tier, this is not its primary purpose. The objective of taking customers through the financial modeling process is to give them the context to understand the full implications of Nutanix technology. In this way, they can appreciate why Nutanix is not just a faster horse, but how it is going to transform their experience of managing IT. I recommend that you start the TCO/ROI analysis process by explaining the inherent financial penalties of 3-tier infrastructure. When customers, for example, purchase a SAN – they typically try to predict the workloads they will need 3 – 5 years down the road, and then purchase an array with enough headroom to expand storage capacity to hopefully meet those requirements. If a SAN-purchaser guesses wrong and under-buys, the organization faces a massive forklift upgrade that’s very expensive, complex and time-consuming. Wikibon estimates that the cost just to migrate to a new array is 54% of the cost of a new array. As a result, customers typically buy SANs with “room to grow”. But this extra capacity requires a large investment (the “I”) which then reduces the ROI. And as shown in Table 1, this excess capacity starts depreciating on the first day it is installed. The excess capacity also requires more rack space, power and cooling even as it sits idle. And as the customer utilizes the capacity over the years, the technology becomes increasingly out of date when compared with the new equipment of the day. This equates to inferior performance, less capabilities and features, and more rack space, power and cooling expense than would be realized with newer technology. Mnemonic: Don’t lose on price, a 5-year analysis is nice. Nutanix won’t always be less than a 3-tier up-front alternative. This is why it is important for the customer to evaluate alternatives over an extended period – typically five years. HCI provides customers with the exact opposite experience of 3-tier. Unlike a SAN which requires a large up-front investment and then quickly becomes old technology, Nutanix lets customers start as small as three nodes, and then seamlessly scale out as needed – even one node at a time. This both enhances the ROI while completely eliminating the risk of over-buying. Since Nutanix storage clusters are completely separate and removed from the virtualization clusters, they are not subject to the VMware size limitations. And scale is not limited to a single cluster; a customer can have several clusters, all managed with Prism Central. In this manner, Nutanix also eliminates the much more punishing risk of under-buying. As customers expand their Nutanix environments by purchasing additional nodes, they bring the latest technology into their environment in terms of CPU, memory, disk and flash. This increases the workload density per node, resulting in a lower cost per workload. Table 2 below shows an example of a typical VDI customer migrating 5,000 PC users to VDI in conjunction with their 5-year refresh rate. Each year rather than getting new PCs, 1,000 users have their devices locked down or receive zero-clients and are migrated to virtual desktops. In year one, the customer starts off with eight nodes to handle the first 1,000 users. But Moore’s Law means that hardware continues to get faster. We saw increases in density just from moving from the Intel Ivy Bridge to Hawell chips ranging between around 20% – 80%. Because of Moore’s Law, we estimate a conservative annual density increase in VMs per node of 20%. This means that for year 2, the customer only needs six more nodes to handle the next 1,000 users. And by year 5, the customer only needs three more nodes to handle the last 1,000 users. 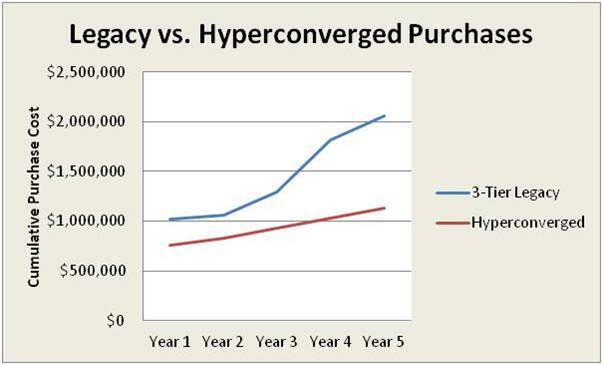 This is a very powerful financial argument that is key to helping customers begin to understand why Nutanix hyperconvergence is not just a faster horse. Mnemonic: Make sure you know how the environment will grow. Ask the customer about the average expected percentage increase she expects to grow her virtualized server or desktop environment over the analysis time period. 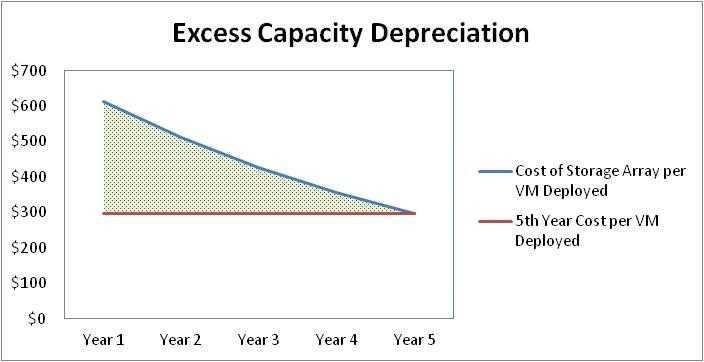 Be sure to factor in density improvements when projecting the Nutanix cost. If you own a Tesla and you want to accelerate faster, corner better or – most recently, enable automated parallel parking, you download a new version of the Tesla software to your car. While the hardware remains the same, your car is in many respects like a new vehicle. The same type of thing is true for Nutanix. Customers can non-disruptively apply the latest Nutanix OS to their existing nodes which will then perform better and have more capabilities and more features. As Tim Buckholz wrote after performing an analysis, just going from Nutanix OS 3.1 to 4.1 showed an average increase in performance of around 50%. Nutanix has seen a 5 X increase in performance resulting from software from 2012 to today. 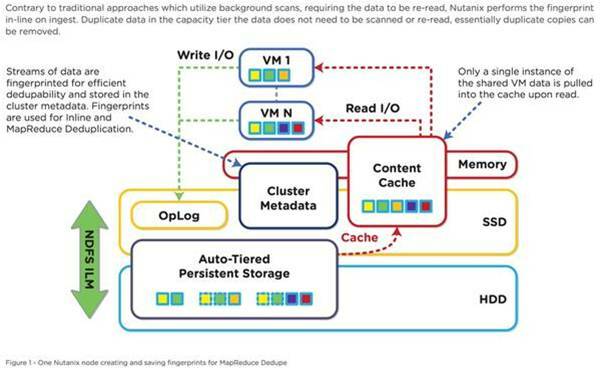 As another example, consider Nutanix’s recently announced erasure coding. Customers applying upgrades to their older nodes will see capacity increases of around 60%. From a financial perspective, the Tesla Effect means that Nutanix customers can grow their environments without purchasing as many new nodes. The higher workload densities, increased capacity and updated capabilities and features help optimize their investments in the original nodes. These software-redefined enhancements are another significant differentiator of Nutanix from proprietary SANs. An array utilizes firmware that is tightly coupled with the underlying hardware. As time marches on, the existing performance, capacity and capability continues to decline in comparison to newer technology. Mnemonic: The Tesla Effect gains increased respect. 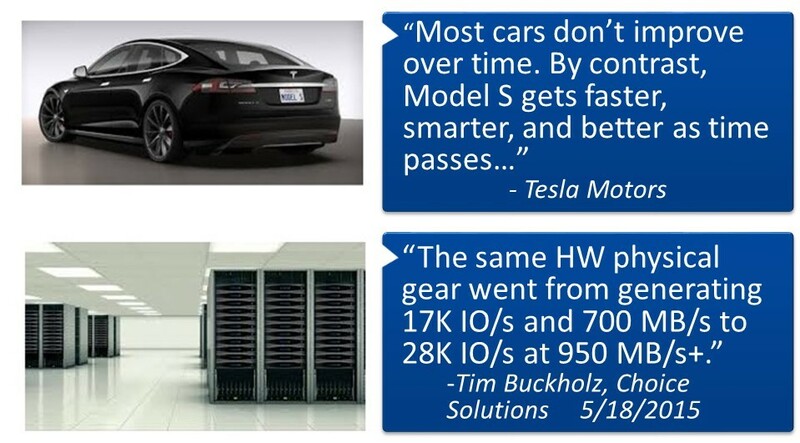 Bring up the “Tesla Effect” as a way to differentiate Nutanix from 3-tier competitors as well as add still further justification for incorporating improvements in density as part of the analysis. Showing how Nutanix slashes CapEx and associated rack space, power and cooling costs over a multi-year period, while eliminating all risk of under or over buying, provides the foundation for proving Nutanix is not just a faster horse. But the TCO/ROI analysis process provides the opportunity to showcasing many of the other Nutanix game-changing capabilities as well. Both Gartner and IDC indicate that over half of enterprise customers now run two or more hypervisors. Nutanix helps to significantly mitigate the multi-hypervisor management challenges by providing a single pane of glass – Prism, for managing and backing up multiple hypervisors. The financial modeling can highlight the potential savings from utilizing the optimal hypervisor for different workloads. Mnemonic: Nutanix is best at the multi-hypervisor test. Discuss the new standard of multi-hypervisor environments and how Nutanix changes the game with new capabilities in management and mobility. It can be difficult to quantify the benefits Acropolis Hypervisor can bring in terms of simplified management, better scalability, enhanced security and bridging to public cloud. But licensing savings are easy to calculate as part of a financial analysis – especially in use cases such as test/development, branch office, big data, VDI, DevOps and so on. These savings can easily run to many millions of dollars. Mnemonic: Acropolis cost is legacy loss. Identify potential areas where Acropolis hypervisor can save the customer money, now or in the future, and incorporate them into the analysis as appropriate. Nutanix changes the game in terms of IT administration. Partners and customers commonly say that Nutanix’s management interface is the most intuitive in the industry. Prism Central dashboards display aggregated data around multi cluster hardware, VM and health statistics into a single management window. Nutanix also utilizes extensive automation and rich system-wide monitoring for data-driven efficiency combined with REST-based programmatic interfaces for integration with datacenter management tools. 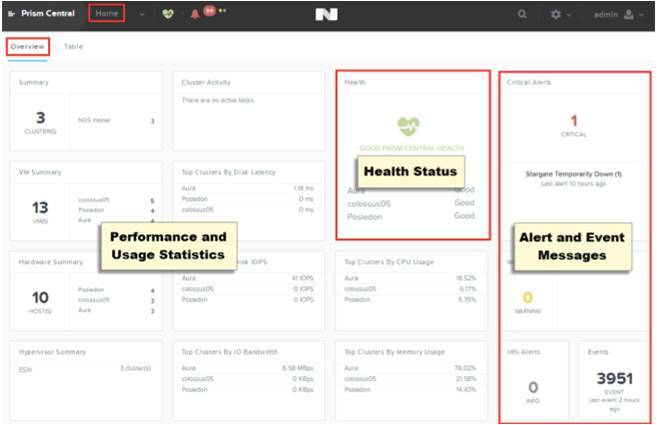 Rich data analytics such as Cluster Health enable administrators to receive alerts in real time as the Nutanix system monitors itself for potential problems, investigates and determine root cause, and then proactively resolves issues to restore system health and maintain application uptime. The Prism management and unsurpassed analytics capabilities combined on top of all the goodness of HCI results in tremendous administrative savings. Sometimes it is easy to quantify these savings – such as when management of the VMs is outsourced. In many cases, Nutanix either eliminates the requirement for outsourced management entirely, or reduces the cost significantly because of the slashed effort. In cases where internal staff time is utilized for managing the environment, administrative savings can be more difficult to project. A recent extensive IDC study (You can download here) of 13 Nutanix and Dell XC customers shows average 5-year IT time savings and productivity improvements of $183,720 per 100 users. Mnemonic: Outsourcing fees mean an ROI breeze. If the customer is currently outsourcing VM monitoring / administration, ensure they understand how vastly simpler that task becomes with Nutanix, and incorporate a reduced or eliminated cost if appropriate. Most SANs use RAID technology which was invented in 1987 and is archaic by today’s standards. Loss of a storage controller can cut available performance in half. Losing two drives in a RAID 5 configuration, user errors, power failures and many other issues can cause unplanned downtime. Nutanix keeps multiple copies of data and metadata both local to the VM running the active workload as well as throughout the cluster. In the event of failure, MapReduce technology is leveraged to deliver non-disruptive and quick rebuilds. The Nutanix Distributed File System is designed for hardware failure and is self-healing. Always-on operation includes detection of silent data corruption and repair of errors around data consistency, automatic data integrity checks during reads, and automatic isolation and recovery during drive failures. Downtime, whether planned or unplanned, can be very expensive for an organization. IDC estimates that a minute of datacenter downtime costs US $7,900 on average. The IDC study referenced above reflects average decreases in unplanned downtime of 98% and in planned downtime of 100%. This equates to 5-year savings of $43,825 per 100 users. Mnemonic: Put downtime to bed and make 3-tier sellers see red. Discuss typical reductions in downtime with Nutanix and quantify and incorporate as part of the analysis if appropriate. It is particularly difficult to quantify the business benefits realized from improved IT agility such as reduced development cycles for applications and services and subsequent faster user access to applications and application updates. A more scalable business model, higher sales and greater flexibility are some of the resulting benefits. IDC says the average 5-year quantified value of higher employee productivity and revenue is $200,275 per 100 users. Many organizations use the terms “TCO” and “ROI” interchangeably, but they are very different. Use a TCO analysis in situations for when a customer is either considering migrating from an existing virtualized infrastructure either to Nutanix, or to a new (or refreshed) 3-tier architecture vs. Nutanix. Use an ROI analysis when comparing remaining with a status quo environment (whether physical or virtual) vs. making the investment to migrate to Nutanix Web-scale. A financial company, for example, was running a Vblock 320 for a mixture of XenApp and sever VM workloads – and they were getting ready to purchase a second unit. But after learning about Nutanix, they became very intrigued with the simplicity and capability for things such as one-click upgrades. They also requested a TCO analysis comparing the cost of purchasing a second Vblock to an equivalent Nutanix solution. Table 3 below shows the results of the analysis. This is presented in a yearly cash flow format (which is typically the way finance folks like to see it). While the Nutanix configuration was less expensive up-front than the Vblock, this is not always the case when comparing against 3-tier infrastructure. However, when incorporating projected upgrade costs over a 5-year period along with variables such as rack space, power, cooling, administrative costs, fibre channel cabling, etc. – Nutanix should always blow away the competition. Mnemonic: When competing vs. status quo, use ROI, not TCO. Generate a TCO analysis if competing against another new solution or an ROI analysis if competing against a status quo environment. A customer typically will consider Nutanix for a specific use case or department. This is a great starting point, but for purposes of the financial analysis, I recommend expanding the scope. If the request is for departmental VDI, for example, suggest looking at the potential economic savings from virtualizing the entire user base (or whatever percentage of that user base is reasonable to virtualize over the next five years). If the request is for a cost comparison vs. a particular server use case, expand the scope to consider all virtualized servers. And then incorporate backup and DR in order to highlight the game-changing capabilities Nutanix provides in areas such as metro availability and Cloud Connect. Expanding the analysis scope enables the customer to better evaluate the proposed smaller initiative within the context of a big-picture scenario. This in turn enables both better decision-making and often more optimized deployment of resources when the initiative moves forward. Mnemonic: Don’t just hope; expand the analysis scope. Expand the scope of the analysis to include as many users, VMs, use cases as make sense to enable a big-picture context for the initiative. This Visio diagram was generated by Dave Hunter, Director of IT for Empire Life, named the “Best Life Insurance Company in Canada in 2014” by World Finance Magazine. The drawing shows the huge rack space savings that Dave achieved through consolidation of mainframe, physical servers and virtualization hosts to a Nutanix environment. Whether looking at ROI or TCO, a picture can help highlight the extraordinary space savings Nutanix enables. Mnemonic: A representative picture should be an analysis fixture. A TCO or ROI analysis is most successful when the numerical comparison between Nutanix Web-scale and legacy 3-tier is no longer the primary evaluation criteria for the customer. The process of taking the customer through the analysis makes it clear that Nutanix will not only be far more beneficial for the organization overall, but that it will change her datacenter management experience in terms of simplicity, predictability, scalability and resiliency. IDC Study on TCO & ROI of Nutanix vs. Traditional Infrastructure. Download from Nutanix Web site. I, for one, Welcome the Rise of the Infrastructure Endgame Machines. 08/20/2015. Trevor Pott. The Register. 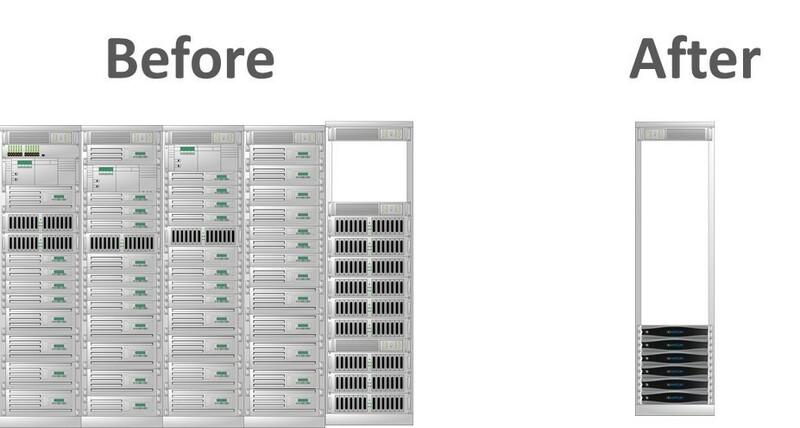 Empire Life Saves 60% in Infrastructure Costs and 16:1 Reduction in Datacenter Space. 07/09/2015. Jeff Babcock (video). Nutanix YouTube. Nutanix Customers Weigh in on “Invisible Infrastructure” and Overcoming IT Bottlenecks. 06/12/2015. Jon Reed. Diginomica. Nutanix Beating EMC, Says It’s Cutting Customer IT Costs 62%. 11/21/2014. Peter Cohan. Forbes. Thanks to @vmmike130 for editing. Millennials today probably chuckle at how taxi drivers once drove around randomly and aimlessly looking for fares while would-be passengers stood on street corners trying to hail a cab. With the exception of two-way radio and computer-assisted dispatching innovations, the taxi business was stagnant for 100 years. Uber applied new technologies to vastly improve the customer experience and in the process, turned the industry upside down. 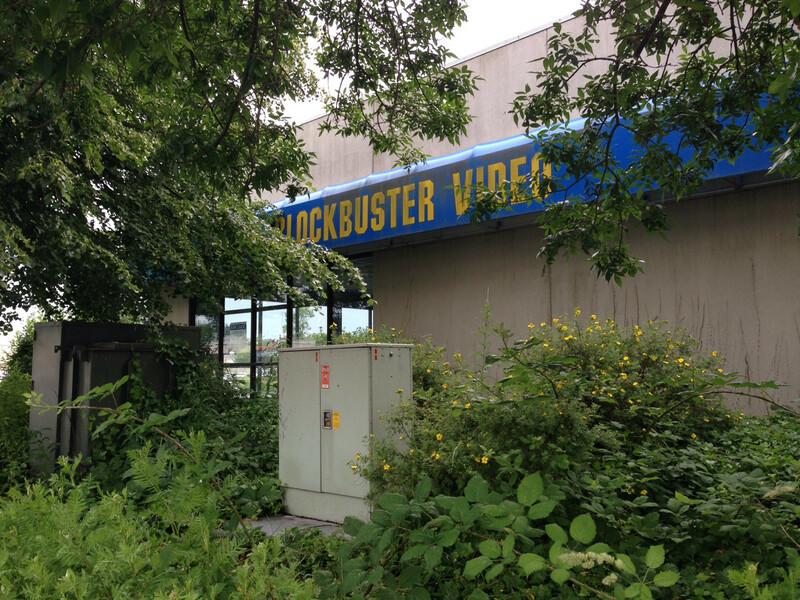 Other companies such as NetFlix, Apple and Amazon similarly used new technology to shake up the video store, record company, newspaper, and book store businesses, among many others. The traditional datacenter is not just more inefficient than the taxi industry; it’s dysfunctional. Proprietary storage arrays, dedicated switch fabrics and storage-specific administrative requirements inhibit simplicity, scalability and resiliency. Inflexible silos of specialized IT skills and technology islands of different equipment compound the wastefulness and high cost. Young people starting work in IT are often flabbergasted by the processes and complexity. They’re used to being able to instantly download a new app to their iPhone with a few swipes. Now they have to wait weeks, if not months, for server, storage and networking components to be ordered and configured before they can stand up their applications. Imagine going back in time 25 years and trying to explain to a taxi patron (probably standing in the rain trying to fruitlessly hail a cab), that combining future Web, GPS and Smart Phone technologies would alleviate her transportation struggles. Skepticism would be the likely outcome. But Uber streamlined the taxi “transportation stack” from driver to dispatcher to consumer. This disintermediation replaced complexity and anxiety with simplicity and certainty. 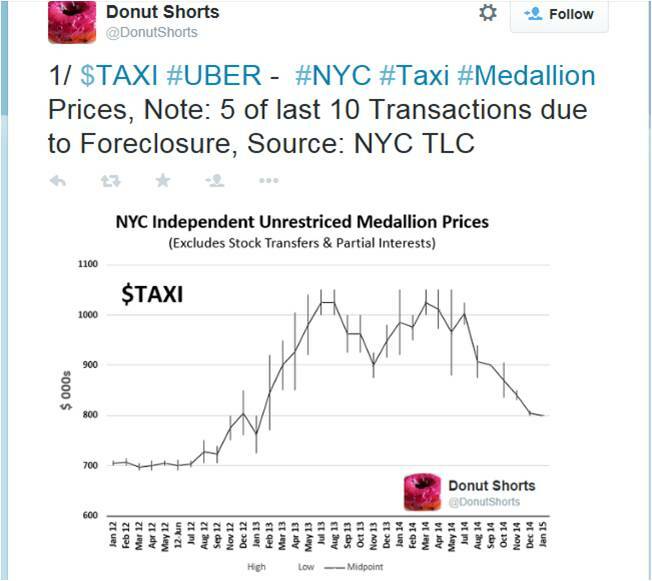 As would be expected, traditional taxi sales and medallion prices have plummeted. Nutanix similarly converges the infrastructure stack to build what CEO Dheeraj Pandey calls, “The iPhone of the datacenter.” Intuitive VM-centric storage management combined with Web-scale technologies eliminates the complexity of buying, deploying and administering datacenter infrastructure. This simplicity extends to all areas of the virtualized environment including seamless business continuity, GUI-driven disaster recovery schema, test and development, private clouds, backup, branch office management and more. 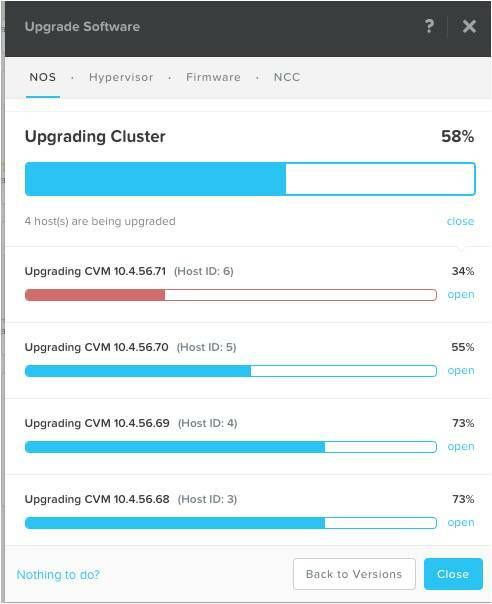 Nutanix even enables one-click non-disruptive upgrades not only of the Nutanix OS, but of the underlying hypervisors and disk firmware. There was a time when a storage manufacturer could build an empire on a single feature such as deduplication, but today’s fiercely competitive environment penalizes the lack of innovation. Seeking Alpha recently observed, “These aren’t great times for legacy storage companies.” The storage leaders are seeing declining sales, and based upon the shrinking gross margins of EMC and NetApp, even lower prices aren’t helping. Nutanix jolted the status quo over three years ago with the first storage and compute platform built specifically for hosting a virtualized datacenter. The exceptional popularity of its hyperconverged approach quickly reverberated throughout the industry. Today every leading storage manufacturer, a whole slew of start-ups, and even VMware, Citrix and Microsoft have either introduced or announced a hyperconverged solution. But Nutanix continues to innovate at a furious pace. Its engineering department doesn’t have a lot of ex-storage folks. Instead, engineers with backgrounds from Web-scale companies such as Google, Facebook and Twitter build massively scalable, very simple and low-cost infrastructure. It’s a completely different mindset, and it leads to rapid development in response to customer and partner requests. While some innovations, such as the industry’s first hyperconverged all-flash node, utilize commodity hardware form factors, most are delivered strictly via software (Tesla-style). Recent examples include Metro Availability (for active/active datacenters), MapReduce Deduplication, Cloud Connect, shadow volumes, Plugin for Citrix XenDesktop, among many others. Many customers and partners say that Nutanix’s management interface is the most intuitive in the industry. Prism Central dashboards display aggregated data around multi cluster hardware, VM and health statistics into a single management window. 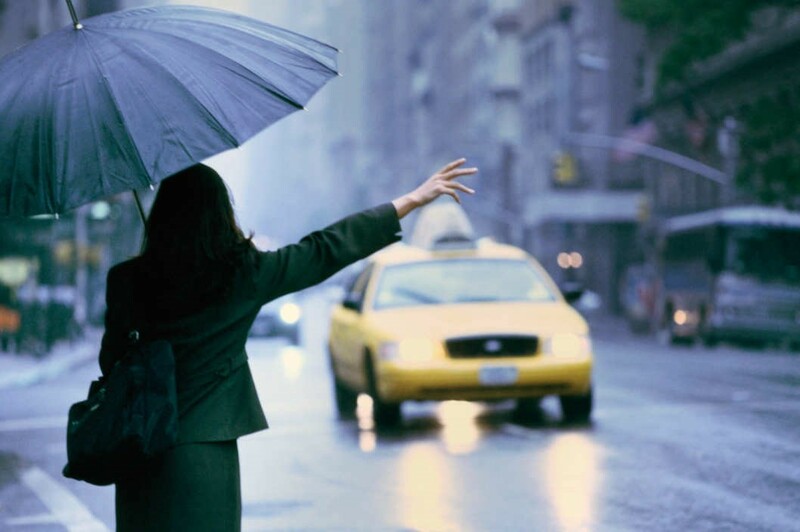 In most major cities, a limited number of taxi medallions make hailing a taxi ride a hit and miss proposition – especially when a local convention or pouring rain increases demand. The same is true of 3-tier infrastructure. Faster growth than anticipated, new applications or use cases, purchase of another company, etc. all can, and all too frequently do, overwhelm a SAN and its dedicated network, causing both inconsistent and degraded performance. When SAN customers fill up an array or reach the limit on controller performance, they must upgrade to a larger model to facilitate additional expansion. Besides the cost of the new SAN, the upgrade itself is no easy feat. Wikibon estimates that the migration cost to a new array is 54% of the original array cost. The Nutanix controller VM lives on every node and distributes all data, metadata and operations across the entire cluster, eliminating performance bottlenecks. Adding linear scalability results in performance predictability and budgeting preciseness. Uncertainty about taxi availability or a functioning credit card machine makes taxicabs a less reliable mode of transportation than Uber or Lyft. Uber provides both visibility and predictability while finding the best vehicle fit for a transportation request and directing it to the customer. SANs are more like taxis than ride-sharing services. Most use RAID technology which was invented in 1987 and is archaic by today’s standards. Loss of a storage controller can cut available performance in half. Losing two drives in a RAID 5 configuration, user errors, power failures and many other issues can cause unplanned downtime. Uber patrons love the way it makes payments invisible. They no longer have to contend with slow or broken credit card machines or calculating the tip at the end of the ride. Purchasing traditional infrastructure tends to require large outlays for storage arrays, blade chasses and expensive networking switches. Because the entire cost is often borne by the business unit with a VM request exceeding existing capacity, this “staircase” purchasing model inhibits a completely virtualized datacenter. Nutanix reduces budgeting challenges by enabling purchases in bite-sized increments only as needed – including mixing compute heavy and storage heavy nodes. This fractional consumption model also facilitates private cloud by simplifying development of a meaningful charge-back/show-back system. Uber is generally, albeit not always, less expensive than taxis. But when taking account of the vastly improved user experience and other benefits, many riders still gladly pay a higher price. Nutanix similarly may not always be less expensive than 3-tier infrastructure in terms of up-front acquisition cost. But even in these cases, factoring in other important variables should easily beat three-tier competition. These variables include (but are not limited to) rack space, power, cooling, switching fabric, planned and unplanned downtime, administrative cost and the effects of Moore’s Law. While certainly not immune from controversy, Uber tends to have an egalitarian feel. All passengers enjoy the same type of limo-like service previously reserved for the rich. “Converged infrastructure” is the mother of all misnomers; there may be added cost and still less flexibility compared with buying individual components, but there is not a molecule of converged infrastructure in “converged infrastructure.” Convergence implies, as was the case with VoIP, consolidation of redundant hardware and elimination of multiple management tiers. Neither is true with converged infrastructure which has thrived by addressing customer pain with prepackaged legacy servers, storage and network. Nutanix, on the other hand, takes the Web-scale approach of moving all of the intelligence out of the hardware and into software, eliminating redundant equipment and management tiers. A low entry cost and simple administration without requiring storage and networking specialists enables world-class infrastructure for the world’s largest enterprises as well as for SMBs. The typical taxi experience is rarely associated with passion. Uber users, on the other hand, tend to be quite vocal about their enthusiasm for the service. Nutanix has a singular focus on revolutionizing the virtualized datacenter. Contrast this passion with the legacy players’ challenge of selling archaic array technologies side-by-side with their hyperconverged offerings. 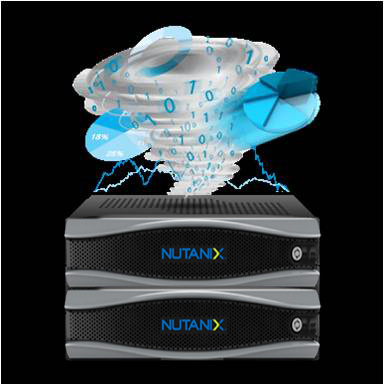 Nutanix customers tend to be huge fans of both the technology and of the organization. This is reflected in Nutanix’s astounding Net Promoter Score of 90 and in winning the prestigious Omega NorthFace Award for exceptional customer satisfaction and loyalty for the last two years in a row. Taxi riders generally have an idea about the cost of the trip, but traffic jams, toll fees and other unexpected charges can significantly increase the total expense. Uber enables riders to know exactly what their ultimate cost, including tips, will be. In response to widespread customer complaints, Uber even made its surge-pricing transparent. 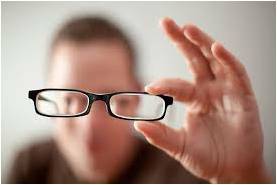 Lack of transparency is a sore point in the IT infrastructure industry. And the complexity of three-tier infrastructure, particularly storage arrays, promotes functional isolation and lack of visibility. Architecture built utilizing Nutanix Web-scale infrastructure is simple to deploy, administer and scale. And Nutanix is transparent about how our technology works. No secrets, no politics, no misleading claims. The schematic above is an example of the type of product functionality detailed on www.nutanixbible.com. Whether Uber or taxi, the goal is to arrive at a destination for some sort of purpose; perhaps a job interview or meeting a spouse for dinner. The ride that takes you there is really immaterial. It should be pleasant but seamless and predictable. Datacenter infrastructure exists only to support enterprise applications and the business objectives they facilitate. Nutanix’s ACT I, hyperconvergence, set the stage for making infrastructure invisible. At the Nutanix.NEXT user conference next week in Miami, we’ll be unveiling our ACT II. We’ll show how we’re transforming the datacenter to put the emphasis on applications rather than on infrastructure. The Ten Reasons Why Moore’s Law is Accelerating Hyper-Convergence. 04/06/2015. Steve Kaplan. ChannelDisrupt. This is the Financial Proof that Uber is Destroying Taxi Companies. Jim Edwards. 02/27/2015. Business Insider. After Getting Crushed by Uber, NYC Taxi Mogul Demands a Government Bailout. 04/14/2014. Brad Reed. BGR. Thanks to Sudheesh Nair (@sudheenair), Prabu Rambadran (@_praburam), Payam Farazi(@farazip), James Pung (@james_nutanix) and Ryan Hesson (@RyanHesson1) for suggestions. This article was originally published on http://www.bythebell.com. 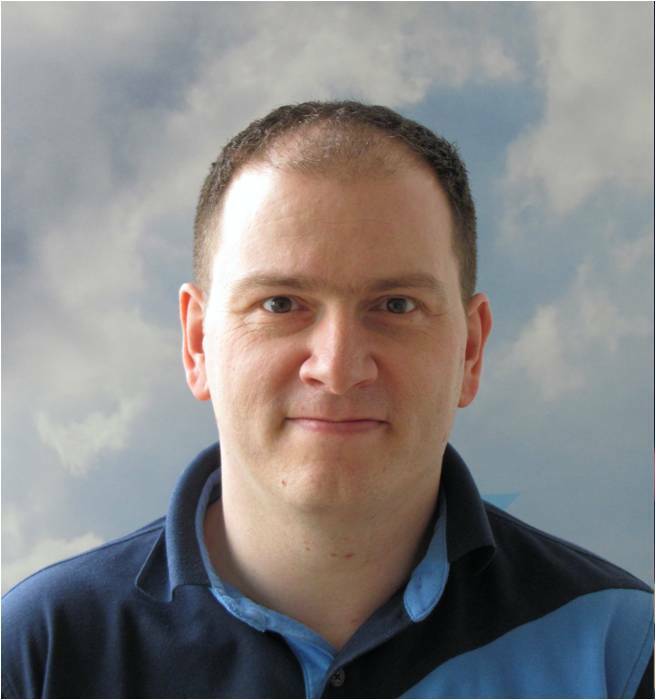 Alexander Thoma is the 12th VCDX to join Nutanix. Alexander was known as the “iron panelist” during his nine years at VMware because he sat through so many VCDX design panels. He oversaw half of all the world’s VCDXs’ design reviews. Thoma said that not only is pursuing an NPX certification high on his priority list, but that he hopes to also replicate his “iron panelist” achievement as part of an NPX panel. “Application requirements still have to be analyzed, gathered and put into the right context. To do that requires NPX-level skills for the more complex enterprise solutions. An NPX is someone who can drive data collection while keeping the big picture in place – making sure all the components work together. Thoma is a Sr. Solution & Performance Engineer for Nutanix, reporting to Michael Webster (@VCDXNZ001). Thoma’s responsibilities include developing solutions for business applications such as SAP, Oracle, Exchange, SQL. He will also help evaluate new releases and will help with alliances tasks, especially with SAP. Thoma will also be available to help both customers and partners with strategic initiatives. “I joined Nutanix,” Thoma said, “because I wanted to be able to make an impact. That requires being in a company with disruptive technology, and one that is not too large. At a very large company, it’s hard to quantify your impact. And, of course, the technology Nutanix provides is very interesting and has a lot of potential. “With well over 1,000 employees, Nutanix certainly isn’t a start-up any longer, but it still has the dynamics of a smaller company. I can speak with anyone from resolution engineers to the Sr. VP of Marketing. People are open-minded and were soliciting my opinions from the first day on the job. I hear again and again from customers that they’d like to move to the cloud. Although the economics might not justify migration today, they want to eventually be free of the challenges in acquiring, provisioning and managing infrastructure. Public cloud offers potential benefits, but reducing infrastructure complexity should not be counted among them. Hyper-converged infrastructure (HCI) can provide the simplicity of public cloud in customers’ own datacenters. And by facilitating a hybrid cloud strategy determined by workload needs, it can enable the same type of agility, efficiency and risk management as public cloud. Seamless infrastructure requires not just abstraction of storage, but abstraction of cloud computing. Infrastructure should be intelligent enough to run applications on the most appropriate platforms whether on-premise or public cloud. This requires an HCI vision that goes far beyond dependency upon a single hypervisor. If you are running a virtualized datacenter, the odds are that you already have more than one hypervisor. This statistic is corroborated by a Gartner poll showing that by July of 2014, 48% of VMware customers were already using Hyper-V as their secondary hypervisor. 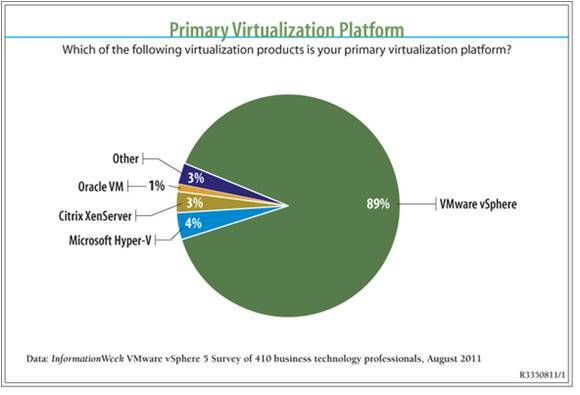 The poll also said that Microsoft’s share of new virtualized workloads is gaining. Tightly integrating HCI with the kernel of a single hypervisor may bind a customer to the manufacturer’s product suite, but it disregards the trends of openness, agility and choice (not to mention resulting in a much fatter hypervisor). 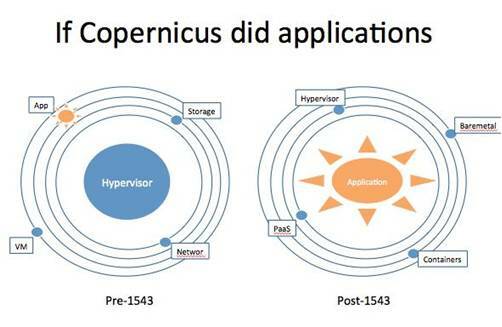 Senior Wikibon analyst, Steve Chambers, recently poked fun at this type of hypervisor myopia by comparing how the datacenter solar system would have looked pre and post Copernicus. This argument resembles the one Microsoft used to make in the late 2000s, “Virtualization is simply a role within the Windows operating environment.” Many industry analysts believed the messaging and told VMware that it needed to be more price competitive. -Laura DiDio, an analyst with ITIC. (Reuters, July 6, 2009). Despite the analyst warnings and all of Microsoft’s marketing muscle, VMware continued to dominate the industry for years. IT leaders knew that virtualization could save them a vast amount of money – but only if it worked flawlessly. An IT manager would look pretty foolish telling her users that all of the VMs might be down, but the company saved several thousand dollars on a less expensive hypervisor. Today, Microsoft has significantly decreased its operating system centricity. It has also reversed its opposition to open source and has made more contributions to the Linux code than any other vendor. The company no longer pitches virtualization based upon lower cost, but instead emphasizes enterprise-class virtualization, IT agility and flexibility. Hyper-V still lags vSphere in management, and Microsoft has not developed the virtualization focus and community support that VMware has built over the years. But customers understand that Microsoft is striving to give them what they want, and they’re bringing Hyper-V into their datacenters. The term, “software-defined datacenter” (SDDC), was coined by VMware’s former CTO, Steve Herod, but it’s taken on a life of its own. Multi-hypervisor demand belies the concept of SDDC as merely an extension of vSphere. VMware’s NSX team understands this new reality. VMware promotes multi-hypervisor support as a “key feature…instrumental to the value NSX delivers.” In response to Cisco claims of hypervisor dependency, VMware fired back that some NSX environments don’t use VMware hypervisors at all. A software-defined datacenter demands more than a single hypervisor HCI strategy. What if, for example, customers determine that KVM-based HCI enhances availability and performance of running containers in production? Or perhaps they want to run Hyper-V to lower the cost of their Citrix VDI environment. Or maybe deploying a combination of KVM and vSphere optimizes the application lifecycle from test/dev to production. Multi-hypervisor HCI not only gives customers choice, it can also provide them with superior capabilities. Nutanix, for example, increases flexibility by supporting not just multiple hypervisors, but multiple versions of hypervisors. And these versions can run on the same cluster, potentially even in multiple datacenters. 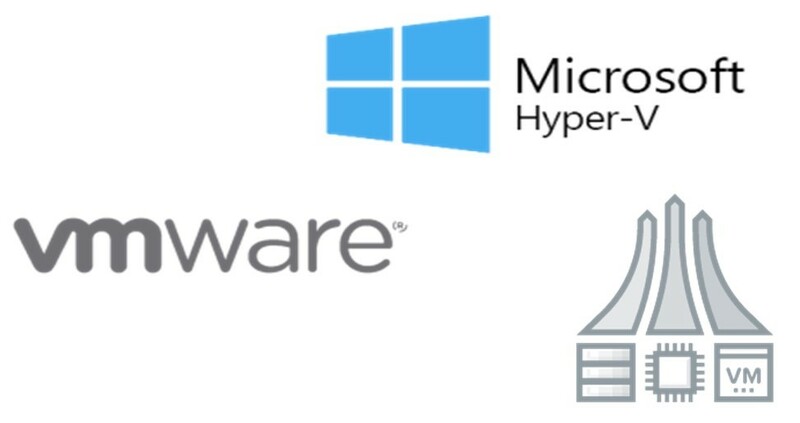 Separating the operating system from the hypervisor enables non-disruptive 1-click upgrades of the Nutanix operating system, the hardware firmware and even the hypervisor – whether ESX, Hyper-V or KVM. Storage layer release cycles are higher frequency and bring improved performance, security and functionality with each release. If customers had a way to efficiently run and manage multiple hypervisors in the same environment – and to seamlessly meet their business and application needs; if they had training and certifications geared to a multi-hypervisor datacenter; if they had community support for their efforts to optimize performance while reducing cost – then the rapidly growing landscape of multi-hypervisor environments would undoubtedly accelerate faster still. At Nutanix.NEXT in Miami in June, Nutanix is unveiling our Act II. We will reveal our plans to take multi-hypervisor capabilities to a new level. I hope that I will see you and your customers there to participate in the future of the software-defined datacenter. Thanks to Prabu Rambadran (@_praburam), Steve Dowling, Payam Farazi (@farazip) and Angelo Luciani (@AngeloLuciani) for suggestions and edits. When I started this blog site last October, hyper-converged infrastructure (HCI) was still a fringe technology. Just five months later and HCI has entered the mainstream. Rather than fielding questions about hyper-convergence, the inquiries I get today are much more often about what sets Nutanix apart from the rapidly growing pack of HCI players? Nutanix brings the same type of no-SAN distributed file system infrastructure developed by Google, and now utilized by all leading cloud providers, to the enterprise. The commodity hardware, “share nothing” Nutanix Distributed File System (NDFS) model enables capabilities such as self-healing and data locality that uniquely position Nutanix for enterprise requirements. Google published papers in 2003 about how it redefined infrastructure with GFS including innovative technologies like Map Reduce and NoSQL. Nutanix is similarly transparent about how our technology works. No secrets, no politics, no misleading claims. (As an example, see www.nutanixbible.com). There are 1,648 billionaires on the planet, but only 190 VCDXs. Eleven of them work at Nutanix with more coming. These folks can pretty much work wherever they want. They’re joining Nutanix because of the technology, the culture and the opportunity to be part of revolutionizing the virtualized datacenter. Nutanix has been a channel focused company from day one. We strive to help our partners to not just be competent Nutanix resellers, but rather to be leaders in the new era of Web-scale HCI and associated cloud integration. We work with them to achieve differentiation, customer trust and expanded skill sets with programs such as Breakaway, Authorized Consulting Partner, and the recently launched NPX certification. The learning, of course, goes both ways. We listen to our partners about how we can better serve their customers both today and in the future. Nutanix doesn’t just sell products, we deliver a customer experience. Nutanix simplifies the lives of IT administrators. Nutanix’s HTML5 Prism UI, for example, is beautifully designed and exceptionally intuitive and easy to use. Or consider firmware upgrades. Even the most advanced 3-tier architectures still require painful and risky firmware upgrades. But Nutanix changes the game with one-click, non-disruptive upgrades for all components including hypervisors. Nutanix’s engineering department doesn’t have a lot of ex-storage folks. Instead, engineers with backgrounds from companies such as Google, Facebook and Twitter build massively scalable, very simple and low-cost infrastructure. It’s a completely different mindset, and it leads to rapid development in response to customer requests. While some innovations, such as the industry’s first HCI all-flash node, incorporate hardware form factors, most are delivered strictly via software (Tesla-style). Recent examples include Metro Availability (for active/active datacenters), encryption, MapReduce Deduplication, Cloud Connect, shadow volumes, Plugin for Citrix XenDesktop, etc. Some HCI manufacturers claim to be hypervisor agnostic though they only work with one hypervisor. Nutanix started with VMware in 2011, began supporting KVM in 2012 and then Hyper-V in 2013. While Nutanix isn’t the only HCI producer to work with legacy manufacturers, we go far beyond just providing reference architecture. Out of all the HCI players, Dell approached Nutanix to establish a true OEM partnership. The Dell XC Converged Appliances – powered by Nutanix software were painstakingly vetted by both manufacturers to ensure the same high standards of quality, simplicity and support that customers receive with Nutanix-branded appliances. The legacy storage manufacturers treat HCI as a storage option in a large line card. Nutanix eats, breathes and sleeps HCI as not only a vastly superior platform for hosting a virtualized datacenter, but as the inevitable future. Nutanix’s success with HCI has already shaken up the industry as almost every large legacy storage manufacturer now has, or has announced, an HCI solution. And Nutanix’s efforts resonate with customers who tend to have a passion for the technology rivaling that of Nutanix’s own employees. Nutanix’s first customer conference, Nutanix.NEXT, this June in Miami is chock full of customer presentations. I have six different customers speaking on my ROI panel alone. Thanks to @vmmike130, @Sandeep_NTNX, @farazip and @vEd_NYC for edits and suggestions. Does EMC’s announcement of VSPEX BLUE pose a roadblock to Nutanix’s record-setting momentum? It’s actually the opposite. Nutanix is not going to revolutionize the $73B server and storage market without a lot of good competitors. And there is no hardware manufacturer more important than EMC to validating hyper-converged infrastructure (HCI) as the future of the virtualized datacenter. EMC started the whole storage array industry in 1990 with its introduction of Symmetrix. The company continues to dominate with a 30% share of the $23.5B storage market. And it has augmented its storage business with many other very successful acquisitions over the years including VMware, Data Domain, Avamar, RSA and Isilon. The Hopkinton giant has also done an admirable job in developing channel partner loyalty despite selling directly to certain customers. Partners appreciate both the leads EMC brings them and the help it extends in closing deals. They also like the distinction they earn by acquiring EMC certifications. These certs translate into back-end services revenues for integrating EMC’s complex stable of storage products. But all is not roses. “The Federation” has stumbled a bit the past few years as its revenue growth rate has declined. EMC recently had to absorb the highly unprofitable VCE partnership, and the company was known to have shopped itself out to HP, and possibly others, late last year. Despite these setbacks, EMC continues to be one of the most influential companies in the datacenter. Customers and partners across the globe take note of its vision and purchase its products. As a recent example, even all of the pain of the disruptive XtremeIO upgrade didn’t squelch its title as the fastest-growing EMC product ever (albeit a lot of this growth is likely coming at the expense of declining VMAX sales). EMC is going to market with an EVO:Rail solution as part of its VSPEX group which now also includes VCE. VSPEX, of course, is a converged infrastructure reference architecture including servers, storage and network while Vblock is a manufacturer-integrated solution. In neither case is there any actual convergence of infrastructure. Customers still face the same extensive rack space requirements, management challenges and scalability issues as when purchasing the products individually. VMware’s EVO:Rail, on the other hand, is genuinely hyper-converged infrastructure. It includes consolidation of redundant hardware and elimination of multiple management tiers. (As an aside, “hyper” in hyper-convergence stands for “hypervisor”, not for “excessive”. Hyper-converged products only work, at least today, with virtualized workloads). While Nutanix describes its offering as “Web-scale” in reference the Google-like infrastructure it introduced to the enterprise, the overall industry increasingly recognizes the broad category as “hyper-converged infrastructure”. Nutanix, with a 52% market share, is the clear leader in the hyper-converged space. Unlike EMC, Nutanix does not consider hyper-converged infrastructure to be a storage line-item. We live, eat and breathe Web-scale as not only a vastly superior platform for hosting a virtualized datacenter, but as the inevitable future. If you go to Nutanix’s engineering department, you don’t find a lot of ex-storage folks. Instead, engineers from companies such as Google, Facebook and Twitter work to enable massively scalable, very simple and low-cost infrastructures for government and enterprise customers. It’s a completely different mindset. But as good as EMC’s sales force may be, messaging hyper-convergence as just another approach to a virtualized data center is going to be difficult to convey with the same conviction as Nutanix’s sales folks. Nutanix is focused on revolutionizing the data center – or as our federal team likes to say, #OneMission. So Who Will Win, Nutanix or EMC? A big answer to this question, of course, is dependent upon the channel. Channel partners hold a lot of sway over their customers and are instrumental in helping them select the best technology for their requirements. Fortunately, we’re seeing a rapidly increasing number of channel partners adopt the same type of Web-scale passion as our own sales teams. Partners are realizing that while they may not be able to charge their customers for the same back-end integration services that EMC products enable, they develop a deeper trust and many more higher margin services opportunities in areas such as hybrid and private cloud enablement, big data, Splunk, metro cluster, VDI and so on. In other words, by promoting VSPEX BLUE, EMC sets the stage to win against the real competition – the $73B of servers and storage sold every year. Both Nutanix partners and their customers will win as a result. EMC’s VSPEX BLUE Joins the VMware EVO:RAIL Family of Systems. 02/03/2015. Mornay Van Der Walt. VMware Blogs. EMC’s Joe Tucci on Q4 2014 Results – Earnings Call Transcript. 01/30/2014. Seeking Alpha. EMC Combines VCE, VSPEX into New $1B-plus Converged Infrastructure Business. 01/28/2014. Joe Kovar. CRN. 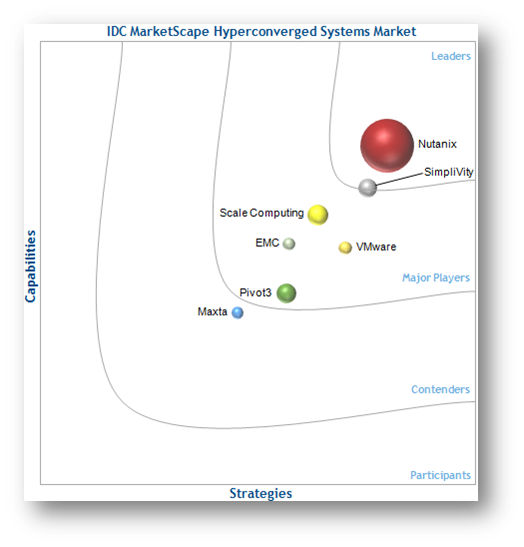 IDC MarketScape: Worldwide Hyperconverged Systems. 01/26/2015. Storage Newsletter. On Classless Winners and Classy Losers. 01/26/2015. Sudheesh Nair. LinkedIn. EMC said to Explore Options Ahead of CEO’s Retirement. 09/22/2014. Beth Jinks. Bloomberg.